any other app that is Chromecast compatible. While you are casting you can continue to search and select music from the app without interrupting the cast itself. Spotify is ad supported but you can subscribe to the premium service in the app for $9.99 per month which gives you the ability to stream ad free but also download music so you can play that music offline. With this update you can try it out risk free for 7 days and can sign up in the app for the premium service which is free for 30 days. 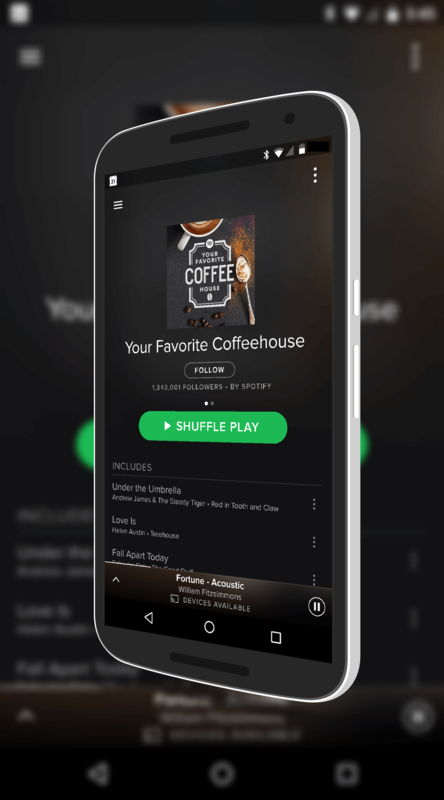 There are a lot of music streaming services out there but Spotify remains one of the top ones on Android and on iOS. They have a wide catalog of artists and music that should be able to satisfy any audiophile. That said, clearly they have competition with the likes of Apple Music and Google Play Music, both of whom offer a premium service for streaming and downloading content. It would seem that the music (and for that matter movie & TV) streaming wars are just heating up.